Heres a case about a little Girl Alexandra Zito. I have not read all the report as yet because I want a first impression. 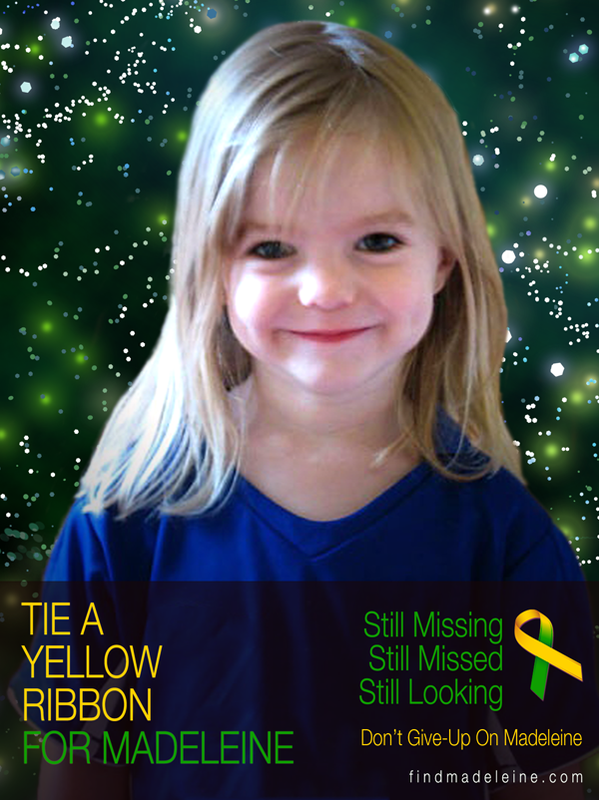 My first question is where is this little girl? Briefly, this is the Four of Cups. Cups rule emotions, water and human hearts and from this card alone I see a very 'closed' 'cold' heart being shown to me. Cups are generally depicting West and Autumn months and also show that something is 'right under your nose'. This may indicate that this girl is actually not very far away at all. Cups often represent days so one could say four days is involved in 'something' - This card shows us that separations quarrels and arguments have been going on. Someone was offered this child and refused to take responsibility - it is something to do with the ethnic origin of the girl that caused a problem. It seems to me that this has to be considered a water card and this card is reversed. This child could be near the water but close or 'inside the city' so Im not seeing her in a remote area. Perhaps there is something relative to a TREE landmark which could be a place name I cannot be positive about that Im afraid. Sometimes when we look at location on reversed cards we have to take the elemental direction and turn it on its head, therefore she could be North East of where she was in the west. So basically, if she is right under the nose she is North East from there. This is only a summisation and I cannot be 100 per cent accurate on this. I will come back to post more on other questions that I ask as this is an extremely 'brief' synopsis. Ive taken a look at Gunnar Dorries the man who allegedly killed the mother of this child. I have received the Magician reversed. I do feel this man will hold back the information until the last minute hopefully perhaps to bargain with it but he will tell the Police where the child is. The Magician is connected to BETH HOUSE 2 which seems to suggest to me that there is a building here - the card is reversed however so it does make you wonder if this girl is Underfoot meaning that she is below surface of the house or near a building. It may be also that there is another lady involved here. I get the impression that this man is not giving the full situation at all and there are tricks and illusions here that he is trying on but wont work so I dont think he is going to get away with withholding the information as to where the child is. I also feel that the man is being described as someone who already tried something once, did,nt think it would work and realized he did not have a proper plan sorted out for the child. I think this could refer to the fact that he drowned the mother and decided not to do the same with the child or did not put the child in the same place. So, it could be that there just might be a woman here that we dont know about who could come into the picture. I cannot say I am 100 per cent accurate but I do see him with a car as well as this card reversed can represent a used car salesman - someone really tricky - its possible he could have abandoned this car too. I hope the information I have been given is useful but I truly cannot guarantee it. I do think the police will be enlightened about something in the next little while. I also have some indication of the number 1 and the number 88 so I will give these just in case. I will also continue to look further and ask more questions. EDIT - I have realised from the information on the newslink above that Gunnar Dorries abandoned his car near Lisbon. I think its possible that the child could be found near there. Apparently some of the news stories have not got this story right either Im not sure exactly why but the Magician reverse shows discrepancies in the media therefore some details have not been written accurately? Also Gunnar is not telling the truth about something which is pretty obvious and they need to find out who the woman is. He might not actually himself have any idea where the child is himself right now but a woman might know. Not sure if this is accurate but we shall see. I will continue to post information. I also have picked up a link to 'father' -. 'Dendron' - South Africa. I had the name of 'TREE' and though I cannot possibly confirm that I am helpful with location I did notice that if you translate TREE into Portuguese it means árvore. Just for the sake of looking that up (Because you never know) There is actually a place called árvore just up on the west coast slightly north of PORTO. Maybe its of help but I wont guarantee this as its just a 'guess' at the word Tree and may not be attached to Alexandra's whereabouts but might link in something else. 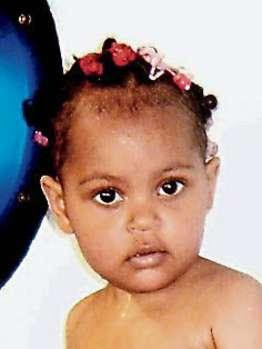 There are more reports now available for the case of Alexandra as this little girl (praise be to god) has been found but unfortunately she has been found deceased. I am ever grateful that the children are found though I know this is so terribly sad it is still an important event that the child is brought home and that is and has always been my mission. You will see from the reports below that tarot has been very good with this case and identified situations and despite my guess at Porto being a possible location, that though it was not correct as a 'named location' - tarot did identify the direction of this child, the type of location which was WEST as suggested in the four of cups and below are pictures to show you. The directions may have been a little confusing further in tarot as Alexandras remains were seperated by 10 metres and may have faced different directions. I am however happy that tarot has identified the water location and the little building which it gave to us as well as other circumstances which appear to be very much in keeping with the resolved case details. I hope one day I will get to 'name' these locations better but I hope that tarot has served Alexandra in the best way it could. Below are reports and pictures posted on the forum identifying what tarot has said by my very loyal forumers. RIP to dear Alexandra and her mother and hope they are both healing in heaven. The PJ believes that the bones that were discovered at a cliff near Beliche beach, in Sagres, belong to Alexandra, the 18-month-old baby that was taken by her father after he murdered the child’s mother at Canavial beach, in Lagos, on the 10th of July last year. The skull and a femur were located on a cliff ledge, 15 metres away from the water and at a distance of 20 metres from the rock’s top. They were discovered on Tuesday evening, at around 11 p.m., by two fishermen who were descending a narrow path. Yesterday morning, vertebrae, ribs, a part of another femur and the lower jawbone were found, approximately 10 metres away from the path. The dimension of the bones and the residues of black, curly hair point towards the baby’s mortal remains. The bones have been taken to the Forensic Medicine Cabinet of Portimão, where the body of Georgina Zito remains unclaimed. An autopsy and a DNA test will be performed in order to confirm the identity. Gunnar murdered Georgina four days after the couple arrived in Lagos. He simulated a drowning at Canavial beach and fled with the little girl. The baby’s remains were now found 35 kilometres away, in Sagres. The man returned to Munich on the 15th of July and was detained, after which he opposed extradition to Portugal. This report claims that Alexandra's mother was murdered FOUR days after the couple arrived in Lagos. Fisherman found the remains, which are believed to be Alexandra, on a cliff near Beliche beach in Sagres. According to the German authorities, the murderer killed his lover and her daughter because "they stood in his way." Days before the death, Georgina threatened to tell his family that Dorries had an illegitimate daughter. Frightened by the scandal that the disclosure would cause in the social circle he was inserted, the German started to plan the two deaths. Above all, the murderer was afraid that his girlfriend found out he had a double life for more than three years. "It's a person who puts his personal interests above all. But his biggest fear came true. Now his girlfriend knows everything," said the German prosecutor Elizabeth Ehrl. This card shows us that seperations quarrels and arguments have been going on. I also feel that the man is being described as someone who already tried something once, did,nt think it would work and realised he did not have a proper plan sorted out for the child. I think this could refer to the fact that he drowned the mother and decided not to do the same with the child or did not put the child in the same place. 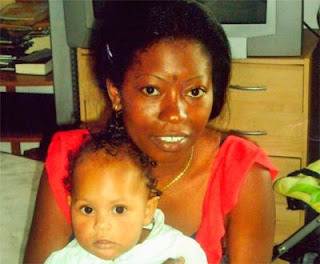 Pressure for the recognition of an extramarital daughter in a relationship may have caused the death of a woman of Angolan origin in Lagos, a week ago, and subsequent disappearance of her daughter, 18 months old. If this report is accurate, tarot has been correct. Someone was offered this child and refused to take responsibility - it is something to do with the ethnic origin of the girl that caused a problem. One more point, with regards to the location where Alexandra was found. Sagres, close to where Alexandra's remains have allegedly been found is WEST of Lagos where the "family" were staying and only half an hour's drive away so not far at all.There is a "building" of sorts tucked into the side at the base of the cliff.